Written by an active duty US Air Force officer, The Intelligent Military Investor (available on Amazon Kindle) is a high-impact, to-the-point manual that targets the financial issues facing cadets, midshipman, commissioned officers, enlisted personnel and all branches of the military. Military servicemembers are highly-educated and extensively trained at making difficult split-second decisions and performing highly technical procedures. However, they receive little to no training in personal finance, investing, insurance, taxes, budgeting, and achieving financial independence. This book fills in the gaps and will teach you to use your military income to escape from your debts, provide for your family, build wealth, and stop getting ripped off by unscrupulous financial professionals. Straight talk and clear explanations allow the book to be easily digested by a novice to the subject matter yet the book also contains advanced concepts specific to military personnel you won’t find in other financial books. 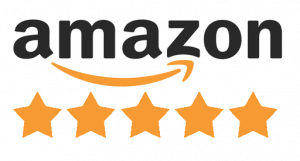 See why other servicemembers are rating the book five stars on Amazon! Save yourself the time and effort. Buy my book and get the most important information you need to set yourself up for financial freedom in an hour. 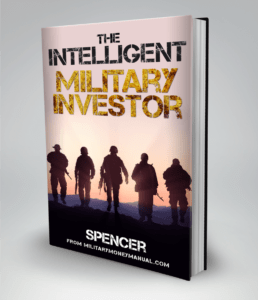 A total plan to go from newly commissioned or enlisted to a wealthy investor, The Intelligent Military Investor will give you the knowledge to achieve financial independence. You can buy the Kindle version on Amazon. Some things I recently learned, Lowes and Home Depot offer military and veteran discounts. Also, the CA DMV driver license can now include the word “Veteran” printed on it if a person so chooses. Saves from having to carry the DD214 or DOD Veteran Card. Add things like that to your webpage and book to improve your sales and wealth. Your target audience would find the information useful in addition to the other advice you’re already giving. Semper Fi.